Ralph Whited lived in one house in Oneonta, AL from the day he was born in 1919 until the day he died in 1994. Oneonta sits in the foothills of the southern Appalachian Mountains, below Sand Mountain and 35 miles north of Birmingham. The Whited home, inherited from Ralph’s prosperous grandfather, was large enough to comfortably house Ralph’s parents, Henry and Elizabeth Whited, and their 6 robust sons Coy, O’Dell, Ward, J.D., Ralph and Brady. When Ward and J.D. took up playing guitar, it became a musical gathering place. His biggest sources of tunes were Roy Sanders and Roy’s father, Luther Sanders. From them he learned old tunes like “Leather Breeches” and “Shoot the Turkey Buzzard.” Roy Sanders also developed a more modern repertoire in the 1940’s playing professionally with country bands around Modesto, Sacramento, and Stockton, California. 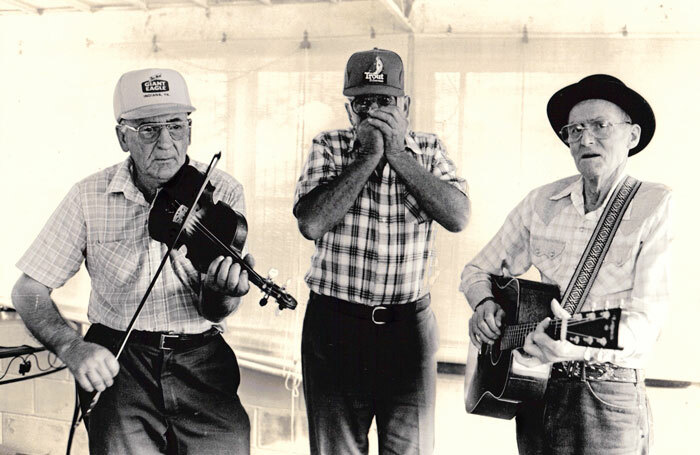 Ralph also learned from local fiddlers Hugh Allgood, Desso Baker and Howard Stansberry. 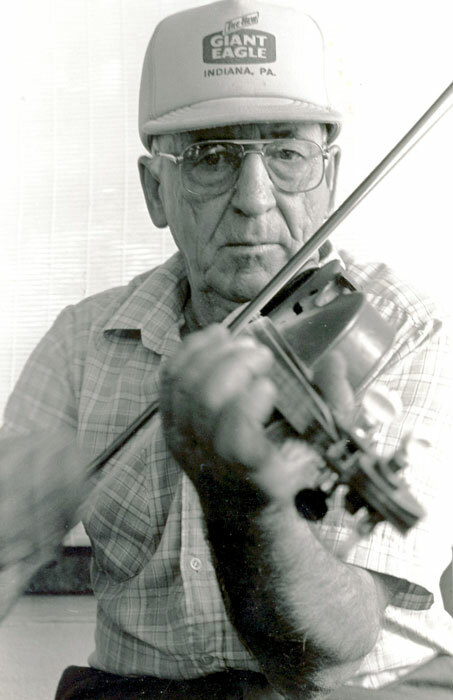 He and his cousin Carter Whited were also big fans of the prolific Tennessee fiddler Arthur Smith and his tunes became a big part of Ralph’s repertoire. 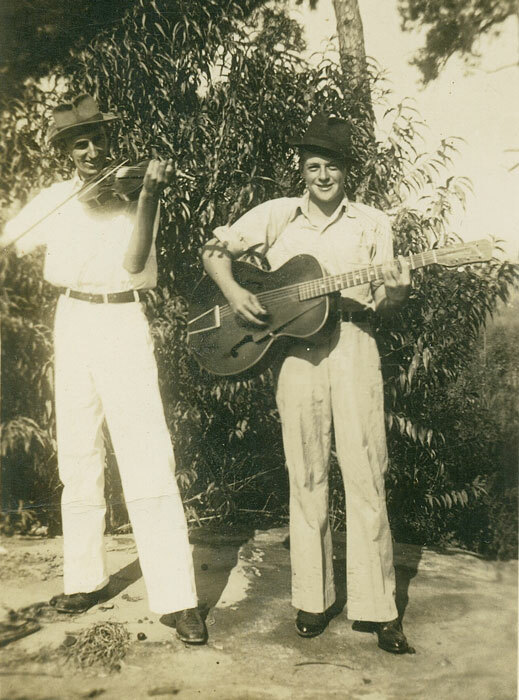 Carter Whited was a fine guitar player and was thrilled to accompany Smith in performances when he came to the area. 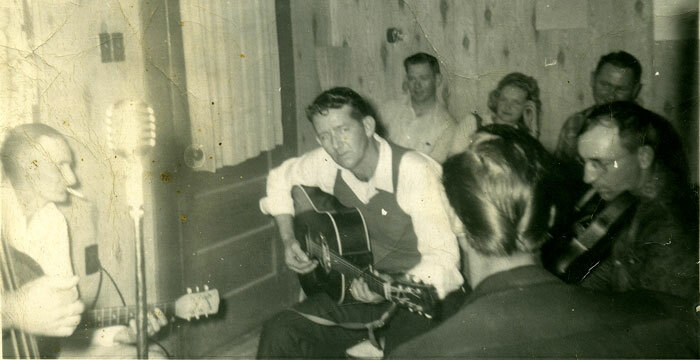 When Ralph got proficient enough to play in public, he entered fiddler’s conventions, such as the large and long-lived one at nearby Walnut Grove, and performed at Kelly’s Barn in Nectar (Blount County) where various groups played bluegrass and country music and audiences especially enjoyed buck dancing to Ralph’s breakdowns. 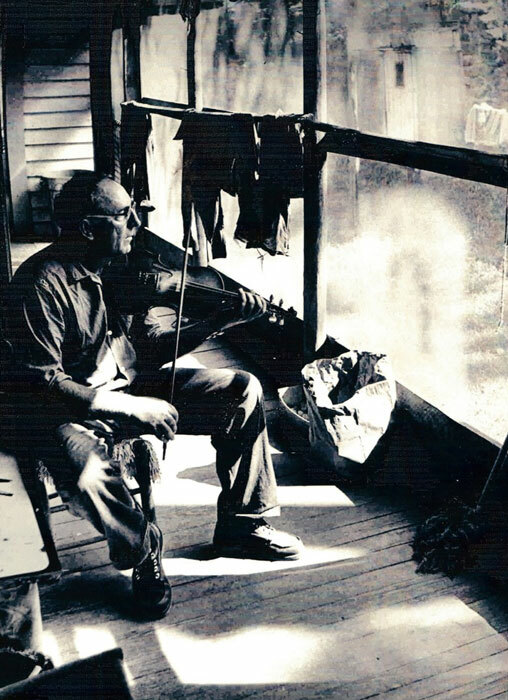 Ralph played his fiddle at every opportunity but there were times during the year that all of his time and energy went into planting and harvesting and selling his crops, first strawberries and later tomatoes. He had large hands with thick, stubby fingers that affected his dexterity on the strings and when his hands were stiff and scarred from heavy fieldwork, he found it hard to play. When he wasn’t farming or fiddling, he was fishing. 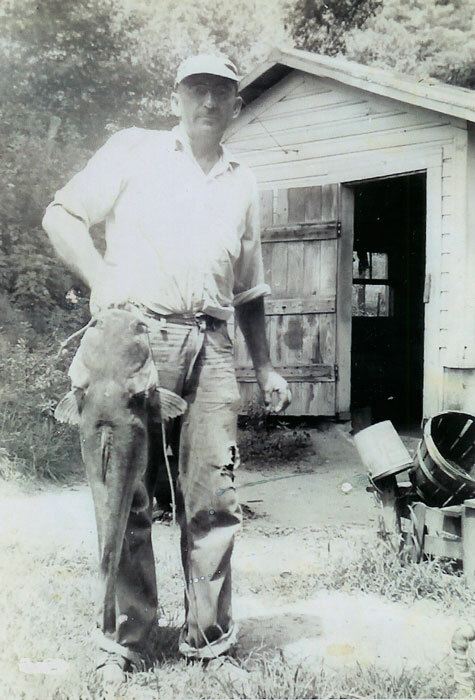 He was a pro at catching huge catfish and named one of his fiddle tunes after Willow Creek where he caught a 48 pounder. After four of his brothers (all truck farmers) married and left home, Ralph and his younger brother Brady, both bachelor farmers, remained there to take care of their widowed mother who lived to the age of 91. During Lizzy Whited’s long recuperation from a broken hip Ralph began composing his own fiddle tunes. In jam sessions and performances Ralph would introduce his tunes by saying “Here’s one I come up with.” Several of his tunes were similar to each other and therefore not very memorable, but others are great. 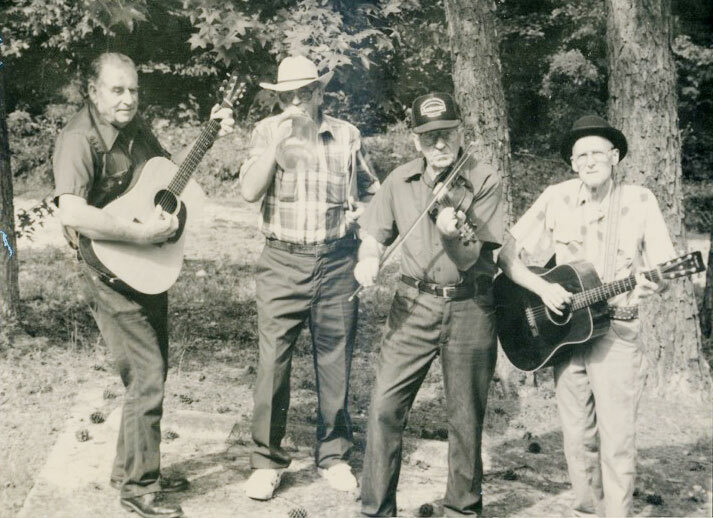 “Turkey Foot,” “Willow Creek” and “Sam Hill” have been widely dispersed through recordings by James Bryan, Red Mountain White Trash and Flying Jenny as well as Ralph’s own playing on Possum Up a Gum Stump: Home, Field and Commercial Recordings and have become jam session favorites. He also “come up with” several nice waltzes that he played with great feeling. After the Possum LP came out in 1988, Ralph and his band, made up of brother J.D. and cousin Carter got local and statewide attention at various festivals. He was invited to participate in the Festival of American Fiddle Tunes in Port Townsend, WA in 1994. He declined the invitation because the late-June date coincided with his tomato harvest. However, the unstated reason may have been that he was suffering from congestive heart failure. He died of a heart attack on July 5, 1994. In 1986 my husband Jim Cauthen and I borrowed a Nagra reel-to-reel tape recorder and two microphones from the American Folklife Center of the Library of Congress and trekked across the state recording all the “old-time” or “pre-bluegrass” fiddlers we could find. Many of them I had already interviewed and recorded on inexpensive cassette recorders for my book With Fiddle and Well-Rosin Bow: The History of Old-Time Fiddling in Alabama, but we had not yet met Ralph Whited and were not aware of Bob White’s recording of him that is the basis of the Field Recorders Collective CD which this bio accompanies. After we made the Possum recordings, Carter set up a little recording system of his own and set out to record every tune that Ralph knew. Every time we saw Carter after that he would give me a stack of cassettes. For the next 8 years we had many delightful times with the Whiteds. Carter, a sociable widower who loved to cook and entertain at his house, hosted fish fries and parties, such as one celebrating the release of Possum Up a Gum Stump. For that he baked a large cake and had someone decorate it with a replica of the album cover. When they performed at Horsepens 40, a local music and crafts festival atop Chandler Mountain, they would share the stage with us even though we considered ourselves out of their league. Our most memorable gig with them was at the Wal-Mart in Oneonta where the innovative manager, John Love, shoved aside racks of women’s clothes to make way for a disorganized conglomeration of musicians, including Tom Jackson who plays banjo on the FRC CD. Mr. Love also invited the Whiteds to perform at the Moon Pie Eating Contest he put on when he found he had a surplus of those treats in the store. A Birmingham television station caught that show and featured them at the close of the evening news. We loved to be in the audience when Ralph, J.D., and Carter performed. J. D. was well-known as the local “wild man.” He played a driving harmonica in the style of Deford Bailey, beat rhythm on a brown paper bag, blew into a jug and shouted out comical remarks as they played. Audiences couldn’t keep from smiling when J.D. was around. Carter held the band together with a strong, steady beat that fit Ralph’s loping style to a T. We were privileged to get to present them at the Alabama Folklife Festivals held in Birmingham and Montgomery as long as they were able to take part in them. Jim and I often remark about how much we miss the Whiteds. It’s good to know that even if we don’t have these three unique men with us any longer, we have Ralph’s music thanks to the efforts of Carter Whited and Bob White and the Field Recorders’ Collective. Note: Many thanks to Phillip, Gary, Dale, Wade, and Rex Whited of Oneonta for sharing stories and photos for this article.